Our Car Haulers, Auto Haulers and Equipment Haulers are engineered to be the longest lasting in the market. 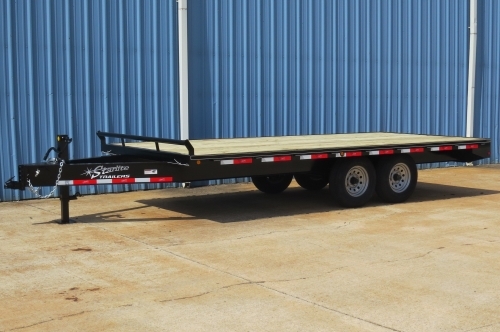 They pull smoothly and Starlite Trailers' Car Haulers, Auto Haulers and Equipment Haulers offers a large selection of standard or custom model Trailers. Starlite Trailers can provide a Car, Auto or Equipment Hauler for every job! Our Car Haulers, Auto Haulers and Equipment Haulers have a range of G.V.W.R. of 7,000lbs up to 14,000lbs with deck widths from 82" up to 102" (102" wide is with drive over fenders and extended sides). Our Car Haulers, Auto Haulers and Equipment Haulers come in a variety models. 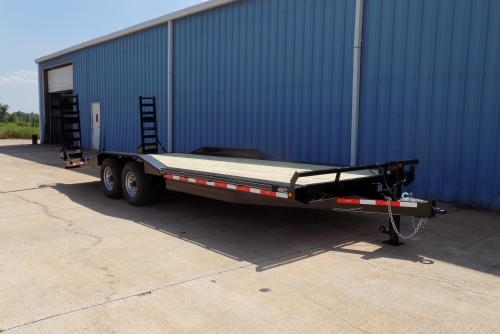 This Trailer is the same as the 82-206CRDV except it has Drive Over Fenders. These fenders are gradually sloped up to the top of the fenders making much easier to traverse a vehicle or piece of equipment to driver over them. 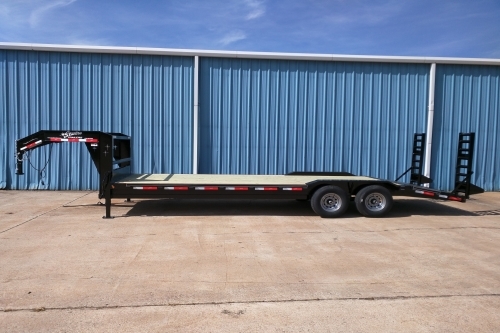 This trailer has the option of adding Extended Sides to it to make it 102" wide. This is just a quick overview of the main points of our Car Haulers, Auto Haulers and Equipment Haulers, for a full list of specs and details please visit our Car & Equipment Haulers Section of our Website. When a reliable Car Hauler, Auto Hauler or Equipment Hauler is what your livelihood depends on, Starlite Trailers is who you can trust for exceptional quality and strength that is meant to last. You are sure to find a Car Hauler, Auto Hauler or Equipment Hauler that will meet your needs. Starlite's knowledgeable staff and representatives are here to help you with all aspects of your trailer needs. Whether it's helping you find a Car Hauler, Auto Hauler or an Equipment Hauler for your needs, or helping you resolve a trailer problem, our team is ready to provide service from all aspects.